A vibrant city that is full of energy, Mumbai is one of the most visited city in India. Famous for its nightlife and the locals, Mumbai has so many things to do that you will never find a dull moment here. While getting lost in the crowd is an experience in itself what makes it even more special is the fact that they go the extra mile to make you feel one of them. Not only does the people of Mumbai have attitude perfectly portrayed by the bollywood they also showcase humility that is difficult to find nowadays. Mumbai has a rich history and you should visit the city to explore the cultural heritage, architecture and its beautiful beaches. If you stay in Goa and are planning to come to Mumbai, then flights can be the best option for you as it saves a lot of time. Just come from Goa to Mumbai by flights and see the multiple cultures evolving harmoniously in a city. Here are some of the places to visit while you are in Mumbai. Gateway of India: A 26 metre high building, Gateway of India was built in the early 20th century overlooking the Arabian sea. Built to commemorate King George V’s visit to India, the architecture is a perfect blend of European Gothic, Hindu and Islamic architecture. The view when you go near the structure is amazing and you can see a lot of birds flying nearby. Marine Drive: One of the most famous landmarks in Mumbai, you can visit Marine drive which lies in South Mumbai. Bordering Arabian sea Marine Drive is 3 km long and forms a ‘C’ shaped stretch along the bay. You can go there early morning or in the evening to see the Sun rising and setting magnificently. People mostly come here to have a stroll on the walkway and experience the cool breeze. Elephanta Caves: Located in Elephanta Island, the caves are around 40 minutes riding away from the Gateway of India. The ferry charges just Rs 40 per person and the ride to the caves is breathtaking with a lot of seagulls following you throughout the journey. A UNESCO world heritage site, the stone sculptures of Hindu gods were damaged severely as Portuguese forces used them for the target practice. Haji Ali shrine: Built in the year 1431, the shrine is located in the heart of Worli. Reflecting a striking Indian Muslim architecture. The 85 feet tall structure is located on a 4.5 kms of land. The USP of the building is the mirror work done on the monument that attracts people of various religions and beliefs. 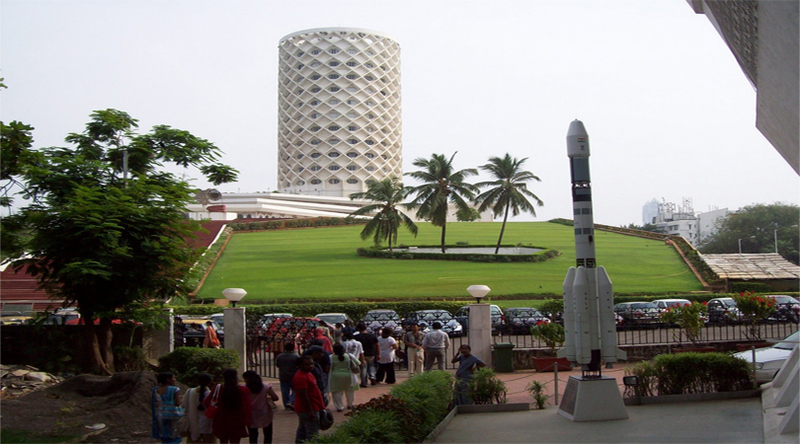 Nehru Planetarium: Constructed in the year 1977, the planetarium includes a cultural center, library and a restaurant. The planetarium is a delight for the astronomers as it has all the arrangements to to solar system, eclipses and meteor showers. There is also an Auditorium in its campus that has a seating capacity of nearly 1000 people serving as the venue for concerts, plays and the dance performances. So, don’t waste your time and travel, Goa to Mumbai by flights to witness history in its prime form.